Text-To-Speech is one of the many great features built into the Android OS. Many users may only use it for the turn by turn navigation, but that still adds up to lots of time listening to a “tinny” robotic voice. Luckily Android 2.2 introduced the ability to install new TTS libraries to change the voice from the default voice. So far there are only two additional voice libraries in the market, one provided by SVOX and the the other by Loquendo. SVOX Classic Text To Speech Engine may sound like just another robotic voice generator but actually it has a wide assortment of voices. While the main app is free they have decided to make each different voice a separate app install so that you only have to purchase the one you want or need, these cost $1.99 each at the moment. Once you have the main app and a voice installed all you have to do is change the default voice engine in the Android settings. 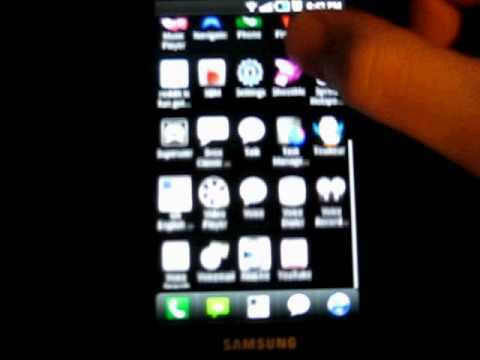 I tried out the US English “Grace” voice because it was the closest to the default android Pico TTS library. The voices are so much richer with SVOX and while there are still some tinny pronunciations, it is bounds ahead of Pico. Loquendo’s TTS library brings a few new features along with it. It will read different emoticons and play back a relevant emotional response or sound. It also varies inflection with the punctuation so that if you end a sentence with an exclamation point it will sounds excited. It does have a few downfalls though, for it to do directions in Navigation properly you have to manually go in to the settings and set it to navigation mode. The other drawback is the 40MB download to the SD card that is required. Hopefully this app will come with more varied voices soon and have the navigation fixed, once that happens it will be the app to get. Loquendo costs ~$6.84 in the market right now. Between the two SVOX definitely comes out ahead. While is lacks the emotion features that Loquendo has it makes up for it with more voices, smaller size, a cheaper price, and in my opinion better sounding speech. Hopefully more developers come out with even better voice libraries in the future, this is definitely one are that has room to grow.